There are three levels within the system of Reiki. One could be perfectly content to stay at Level 1, or move on to the other levels of Reiki at their own time and space. Everyone is on their own path, they alone decide what is best for them. A Level 1 Attunement is a gentle introduction to the energy. While Reiki works on all aspects of being (physical, mental, emotional, and spiritual), at Level 1 the energy appears to work most prominently on the physical level. Once attuned, Reiki can be given to the self or others present by laying hands on the recipient. Before being attuned to Reiki Level 2, it is advised to wait at least a month after Level 1. The time in between attunements are provided as guidelines. The waiting period is that the student’s body is adjusting to the energy, and it’s to ensure that the opening is safely anchored into the system. This is the Practitioner level, in which one can now start charging for their services. Distance healing begins here, in which one can now send Reiki over time and space. The symbols are introduced which helps access various aspects of the Reiki energy. Level 2 is approximately four times the amount of energy in Level 1 and it settles into the emotional body. This is considered the graduation of the Usui Reiki system, and Reiki is no longer a just a modality one uses to heal themselves or others, but a way of life. One can consider this level of attunement after one year of being attuned to Reiki Level 2 because the shifts at the previous level generally take a year to make hold, such as career, finances, and relationships. It is approximately four times the level of energy you receive in Level 2. The master symbol is taught as well as techniques such as psychic surgery and Reiki meditations. This is the spiritual level of Reiki. With this class, one learns how to attune others to to the Usui Reiki energy and can now call themselves a Reiki Master Teacher (RMT). This monthly gathering is open to everyone, those who are interested in Reiki, both the curious and practitioners. 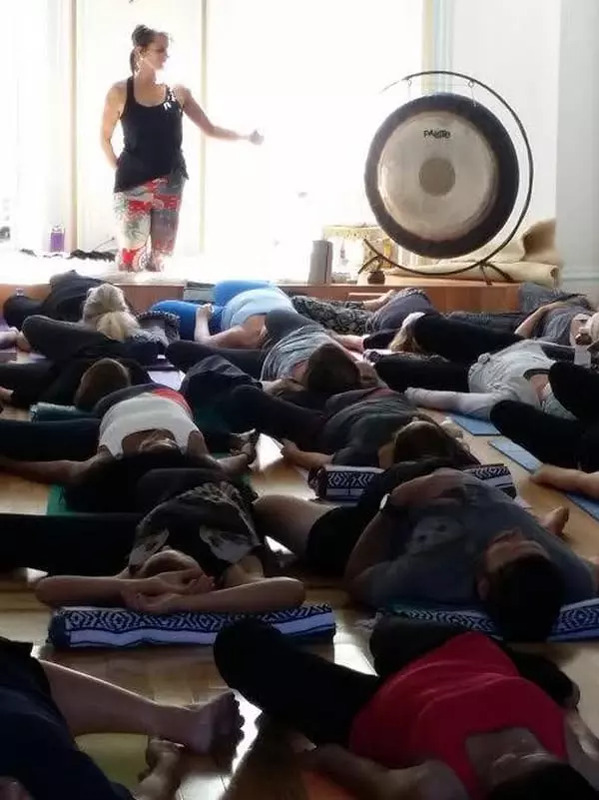 There will be a discussion on what Reiki is, followed by a meditation to connect with the Reiki energy, and ending with a chance to get a short Reiki treatment or if you’re attuned to Reiki, a chance to practice.